Kawasaki has increased the price of the Z650 by Rs 40,000 and now it costs Rs 5.69 lakh (ex-showroom Delhi). The new motorcycle is the replacement for the Kawasaki ER-6n, which was, in our books, among the most practical performance motorcycles on sale in India. With the Z650, Kawasaki has addressed the biggest flaw with the ER-6n: its ugly styling. The Z650 adopts cleaner and sharper lines which endow the new motorcycle with a hint of sportiness. Another noticeable difference on the new Z650 is that the bike weighs a massive 19kg lesser in comparison to the ER-6n. Kawasaki has endowed the new motorcycle with a trellis frame which has been instrumental in reducing the kerb weight. The Japanese two-wheeler giant also claims that the new chassis has improved the handling dynamics of the motorcycle. Powering the new Kawasaki Z650 is a liquid-cooled parallel-twin motor churning out 68PS, a drop of 4PS in comparison to its predecessor, but the new mill is Euro 4 emission norms-compliant. Performance of the bike shouldn’t be affected as the drop in power is countered by the weight reduction. The new motorcycle also gets equipped with slipper clutch and the saddle height is now lower at 790mm. Braking responsibilities are handled by twin disc brakes at the front and a single disc unit at the back, while ABS is standard. 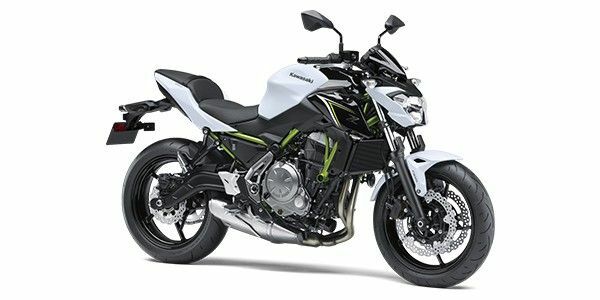 The Kawasaki Z650 competes against the Benelli TNT600i and the upcoming CFMoto 650NK. Kawasaki Z650 prices start at Rs. 5.69 lakh (Ex-Showroom). Kawasaki Z650 is available in 1 variants and 1 colours. The claimed ARAI mileage for the Kawasaki Z650 petrol is 21 kmpl. Q. Is it fit for indian road because very low ground clearance?? Well you do scrap underbelly on weird bumps India produces. Overall it's a 75% chance that you'll glide through each bump unless you're loaded with a heavy pillion. Q. Is it suitable for short rider? Q. Is it good for a person with height 6 ? Weight reduction makes everything better. On paper, the Z650 is quite an improvement then. We bring you the real world results. The bland but capable Kawasaki ER-6n has a successor, and it looks sharper. Question is, does it now go as well as it looks?